B-Sensible has created a new dawn in bedding for toddlers. Breathable, waterproof sheets and pillowcases giving a toddler undisturbed natural comfort throughout the night whilst the mattress stays dry no matter what. Rachel Lachmann, of Harrogate, is a mother to Thomas, aged five and Charlotte, aged two. 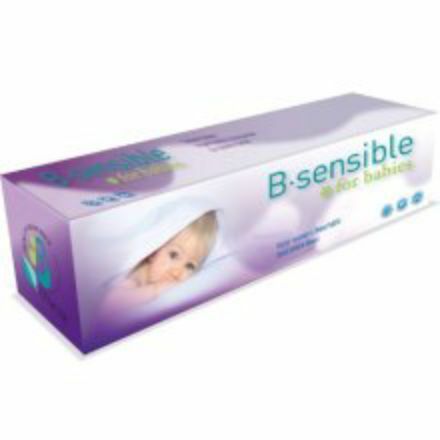 She started using the B-Sensible bed sheet for Thomas ten months ago and was so impressed with the product that she has since recommended them to other mums. “The B-Sensible sheets are brilliant. It stops the mattress getting wet and doesn’t feel wet next to Thomas’s skin. Thomas never complains about going to bed and when he does wet the bed he sleeps through, because the sheet isn’t wet and uncomfortable. Rachel, 36, said that the sheet has helped her son sleep through the night and made life easier for her too because she’s not getting up in the middle of the night to change his bedding. “Thomas has never been dry at night and it was a nightmare constantly washing and changing bed linen and duvets, even more so before I started using B-Sensible sheets because the mattress used to get wet as well. The B-Sensible sheets come in a range of sizes to fit Moses cribs, cots and cot beds, plus standard bed sizes! The 2in1 fitted stretchable sheet and protector combine into one soft waterproof breathable product which acts like a “second skin” thanks to the innovative fibre Tencel. Tencel is known as the “new age fibre” as it absorbs moisture naturally. The eco-friendly fibre is made from the wood found on the Eucalyptus tree, and has natural cooling mechanisms to control the temperature and humidity. The range also includes pillowcases! The B-Sensible bedding range also offers many other benefits! The sheets and pillowcases absorb significantly more moisture than cotton and dry quicker due to its nano-fibre technology, thus helping to control humidity and body temperature. They are perfect for those little accidents as they are waterproof, breathable, have optimum moisture management, are hypo-allergenic, thermo regulating and eco-friendly. If a child has sensitive skin, the hypo-allergenic range of products will prevent skin irritation, so are suitable for eczema, asthma and rhinitis sufferers.